Ethernet networks are based on a development made by Xerox, Digital, and Intel. The two versions of Ethernet are commonly referred to as Ethernet I and Ethernet II (or version 2). Ethernet uses Carrier Sense Multiple Access Collision Detection (CSMA/CD) to transmit frames on the wire. In an Ethernet environment, all hosts can transmit as long as no other devices are transmitting. CSMA/CD is used to detect and warn other devices of any collisions, and colliding stations will use a back off algorithm and wait a random amount of time before trying again. Colliding devices send a jam signal to advise all stations that a collision has occurred. When a jam signal is sent (a jam signal is detected by all devices because the voltage is that of the combined colliding devices), all stations also stop transmitting. A device will attempt to transmit up to 16 times before a user is notified of the collisions; typically, an application error will inform the user that data could not be delivered. Microsoft's famous words are "Network is busy." 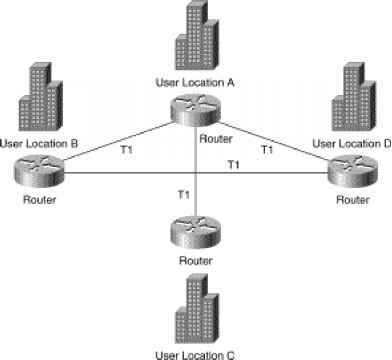 NOTE The only time CSMA/CD is not used is in full-duplex connection because collisions are not possible when one pair of UTP is used to transmit and receive data. In other words, devices connected in full-duplex mode can send and receive data at the same time without the possibility of collision. Table 2-2 lists some of the common Ethernet media specifications and the characteristics of each. The word BASE refers to Baseband signaling, which uses a single channel, as opposed to broadband, which uses multiple frequency channels.